We're home sick today. She's picked up a virus and has spent the afternoon in bed with a 101+ fever. 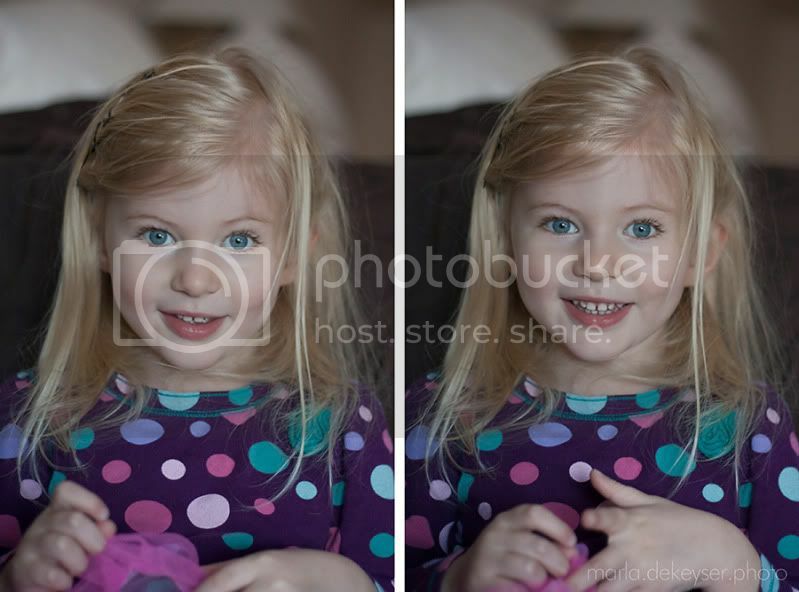 These two pictures were taken after her nap and about 20 minutes after a dose of children's ibuprofen. She had no energy all morning and slept all afternoon, but after her medicine, she was all smiles - even put a on a tutu because she wanted to dance. Miracle drug. . .